← So… what do you do? “Well, it’s like this… who would you rather have fixing the brakes on your car… your best friend or a trained auto mechanic?” John asked. That’s when the light bulb over my head slowly flickered on. John’s point here was simple; the customer needs someone to trust and someone to respect and those will likely be two different people. The sales rep cannot succeed if they are not trusted and the sales engineer cannot succeed if they do not earn the customer’s respect. It’s that simple. How does all of this translate into real life? As a sales engineer, don’t do anything that diminishes the customer’s respect for your technical expertise. One way to do this is to stay out of the non-technical discussions where you can’t add value. Never discuss pricing or deal terms with a customer. Defer to the sales rep in all of these cases. To avoid accidentally discussing price I intentionally try not to learn the pricing for our products. You can’t discuss what you don’t actually know. Never ask the sales rep to handle a technical question, even if it’s a simple one. Answering the easy questions helps you build your reputation as the technical expert. If you don’t know the answer to a technical question, don’t take a hip shot and hope for the best. “I’m not sure about that one, let me get back to you on it” is an acceptable answer, one that will ultimately earn you more respect than guessing and hoping. Never answer a technical product question, even if you think you know the right answer. This is hard for a lot of reps, especially once they have sat through the same demo a few hundred times. It’s extremely tempting, but it’s a temptation you must avoid at all costs. Every time you answer a technical question from a prospect you chip away at the respect that prospect holds for your sales engineer. You also risk telling them the wrong answer which will destroy any trust you’ve built with the prospect. Position yourself to the customer as the person who will pull in any resource needed to address their issues. This could include a sales engineer, a product manager or a senior executive. Being able to pull in help as needed makes you much more valuable –and more trusted— than trying to solve technical problems yourself. 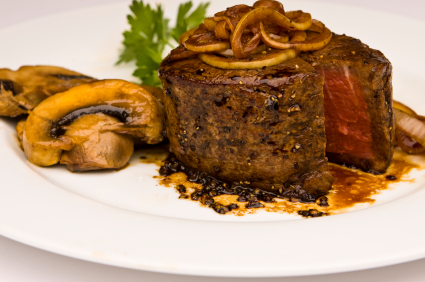 The next time you hit the road with your sales engineer, buy him or her a nice steak dinner. This piece of advice has nothing to do with the rest of this blog post, but I’m hopefully that one of my sales reps will read this and take it to heart. I prefer grass-fed steak, medium rare. 3 Responses to Which is more important to an SE… trust or respect? I like these posts. Keep it up. Nice post very well said. I just happened upon your posts and they are very informative! Thank you!